Persona Dancing: Endless Night Collection is a music / rhythm game that is far more fun than it probably has any right to be. Certainly, as a huge fan of the Persona series, I am the target audience. However, this is more than just a handful of songs slapped together to tap buttons to in time with the beat. 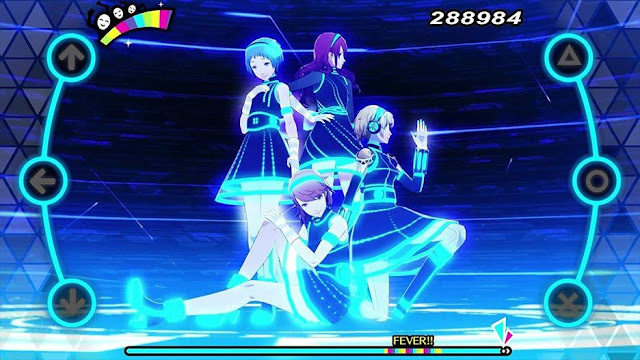 Back in 2014, I reviewed Persona 4: Dancing All Night, and really enjoyed the offering (scoring it an 8 out of 10). It was easy to put in some earbuds, and tap away on the screen as I worked through an interesting Persona 4 cannon story that added to what was already one of my favorite games in Persona 4. 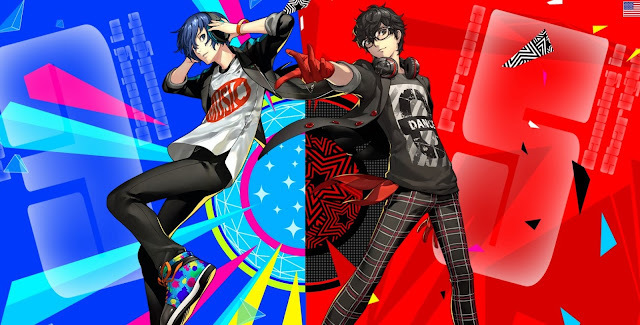 The Persona Dancing: Endless Night Collection is a little bit of an interesting set of games, and I will address the purchasing options right out of the gate. Essentially, this is a release of two different games using the same basic framework. One is using characters and music from Persona 3, the other from Persona 5. They each feel like fully fleshed out rhythm games, with lots of music and some cool extras I will get into later, and each is $60. Or, you can grab the collection for $100, and they include a ported version of Persona 4: Dancing All Night as well. Clearly if this is your kind of game, the collection is the way to go. The gameplay seems pretty simple at first, and the titles do a good job of walking you through the basics. You use up/down/left on the directional pad and X/O/Triangle face buttons to match notes that float out from the center of the screen to the edges. These notes come in different flavors like quick single presses, double taps, press and hold for a time before releasing and so on. Some extra flavor is trickled in through the scratch mechanic, which is an optional ring that starts at the middle, and as it strikes the edges of your HUD, you can flick one of the analog sticks to get some extra points and try to gain a 'fever' bonus. Think of fever as the bonus score mode you see in other music games like Guitar Hero where you tip up the guitar to active your star power. In fever mode a companion will come out and dance with your primary character, and you'll get far better scores. It is all surprisingly intuitive and actually a good deal of fun. 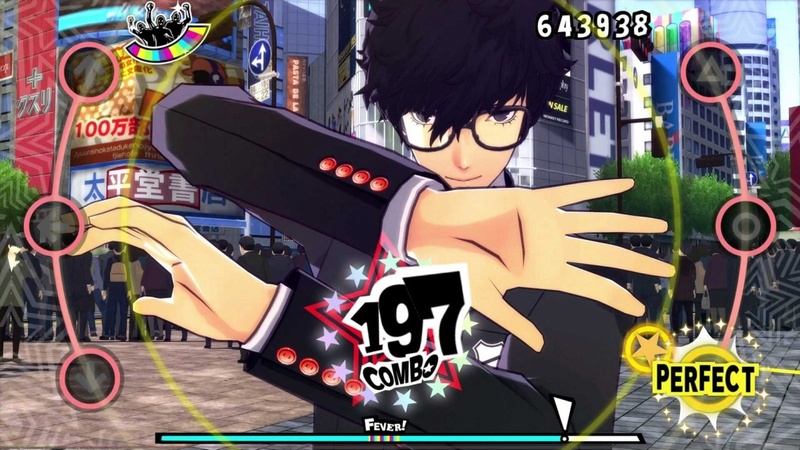 It helps that the Persona series has long been known for its fantastic soundtracks, and that gives these games a lot of material to work with. The catchy pop-like tunes are ones that have wormed their way into my head from hundreds of hours of gameplay over the years, and hearing them again - even in remixed fashion - immediately put a smile on my face. If there is a bit of a grumble about the music, it is that the track lists really are not that huge. You get some remixed versions of songs to help keep them fresh, but you are getting dozens of songs with this collection - not hundreds like in some other music games. 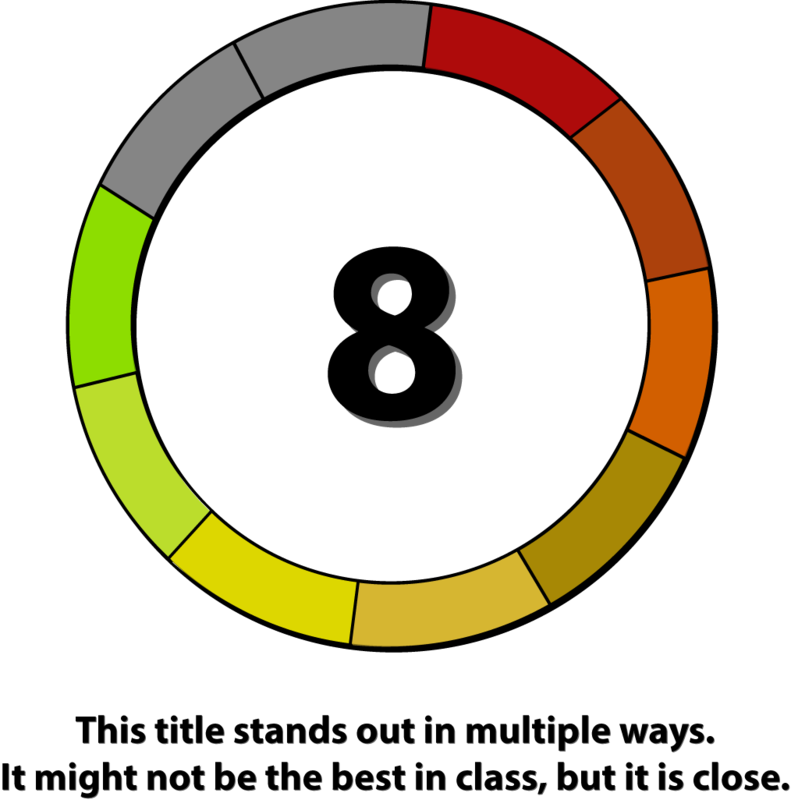 The core gameplay loop is to get through the song, steadily improve your skills, play newer songs ore replay older ones on higher levels of difficulty, continue to get better at the gameplay and earn higher scores. Lather, rise and repeat. However, there are some other fun progression items outside of the primary gameplay that help make these titles feel like something more than 'just music games'. You can increase bonds with characters and get their thoughts around what is currently taking place, you can unlock new accessories for them to wear and game configurations to customize a session. These additional items do help to offset the modestly sized track list that accompanies each game. Probably the biggest disappointment for me was that the narrative takes a huge step back from Persona 4's version of this game. There's a friendly, silly and inconsequential story around the Dancing games based on Persona 3 and 5, and there is nothing wrong with that in and of itself. However, having enjoyed the actual story of Persona 4: Dancing All Night, I would have liked to have seen that same level of care applied to the other two titles in this collection. It is a little odd that the original game of the three is probably still my favorite, even if it is just a straight Vita port that doesn't look quite as sharp as the other two. From a pure gameplay perspective, the controls are responsive and there are the requisite options to tweak the latency. The actual UI can get pretty busy, and like most games of this nature, you really don't have time to take in what else is happening on the screen. In Guitar Hero for example, I never really felt like I could watch what was happening on the stage, because I was so busy making sure that I hit the notes. The same is true here, as the dancing is in the center of the screen at all times, but I was still only slightly aware of it because the action dictated that my eyes were always darting to the screen's edges. It is also worth noting that the circular shape of the interface makes a ton of sense, but this is one of the few times that having a big television might actually be a gaming detriment. On my Vita everything was a bit more compact and it was easier to see everything that was happening. 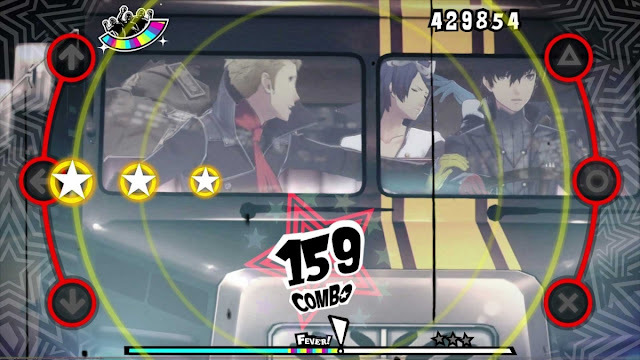 I found the Persona Dancing: Endless Night Collection easier to play on one of my more modestly sized televisions than my biggest one, just because it was more real estate for my eyes to travel when trying to keep up with the constant flow of notes. There are a handful of oddities around the Persona Dancing: Endless Night Collection, from the strange purchasing structure to how the stories in these newer games actually feel like a step back from another in the series from a few years ago. That being said, the core gameplay is both intuitive and addictive, the visuals are fun and the music is fantastic. That there are some other things to do that add an additional sense of progression is just the icing on the cake and I found it very hard to put these games down.